I cut my fishing teeth catching bluegill, crappie and perch. There's nothing unusual about that. So have tens of thousands of other fishermen around this wondrous country. Most have likely gone on to concentrate on the larger species of sports fish. Even if they have, I'll bet most of them still retain a fond spot in their fishing memory book for panfish. If they're like me, that's especially true when their thoughts get around to that scrappy little devil we call the bluegill. Ask an experienced panfish angler the following question sometime: "How do you rate bluegill when it comes to fun and fight?" Watch the eyes of the person to whom that question is directed. Chances are they'll light up like mine do whenever my thoughts turn to those scrappy little devils you find in the majority of lakes, ponds and puddles all over the United States. You're missing a whle lot of fishing fun if you don't get aquainted with these little guys called bluegills. They are tough little buggers. If they got much bigger than they do they'd run the rest of the fish out of the lake! They're great in the frying pan too. If another fish has provided more angling fun for millions of Americans, I don't know what it would be. I've never known a serious angler who didn't have a high regard for the pugnacious bluegill. If they were the same size, those little devils would run every bass out of the lake and eat carp three times a day. Bluegill aren't big. You're never going to really enjoy fishing for them unless you scale down your tackle to match the size of the fish. I'll take a look in my next two columns at the basics of bluegill fishing. I've caught thousands of these good eating, hard fighting panfish over the past half century. I'll share some of the thoughts I've come by as a result. You can, of course, catch bluegill on natural baits. Worms fished on a small hook beneath a light float catch bluegills wherever they are found. But it's my contention that natural bait isn't a necessity. It lowers the sport to its lowest common denominator. You can catch all the bluegill you want on small artificial lures. 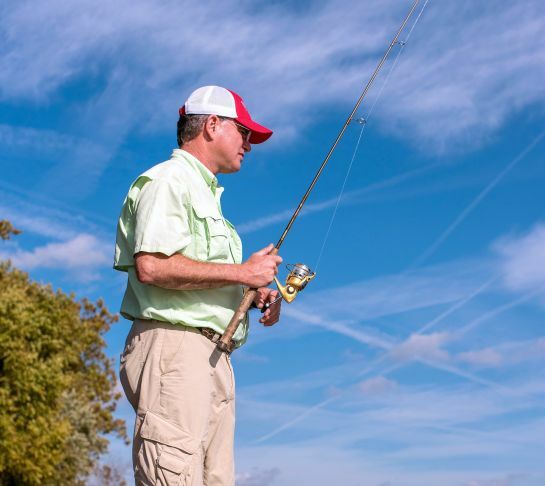 The two best ways to go about it are with a light spinning outfit or a fly rod. Use your smallest plastic grubs or worms on a small jighead like those shown here. Don't select a jighead that has a hook that is larger than a number 10. The bluegill has a tiny mouth. They won't get hold of a grub hooked on a jighead with a large hook. In this first column we'll consider only bluegill fishing with spinning tackle. 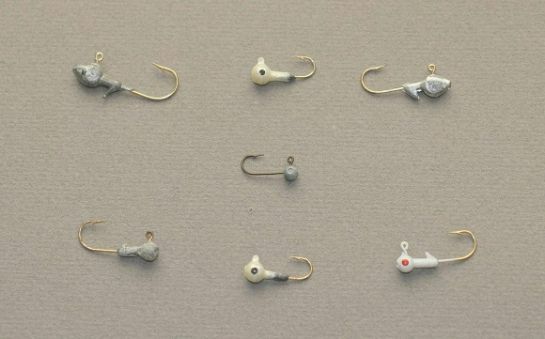 Ultralight spinning gear is made to order for bluegill. Get a light action rod of 5 ½-feet to 6 ½-feet. Equip it with a lightweight open-faced spinning reel. Load the reel with 4-pound test line and you're ready to do business. Let's consider finding bluegill before we get into how to catch them. If you know the lake you're on holds these wonderful little panfish, ease along the shoreline and watch for feeding activity. Bluegills sometimes give their location away by dimpling the surface as they feed. They make a distinctive little glurp as they take something off the top. If you spot such activity, don't run over the feeding fish. Stay back 30-feet and cast into the area where the fish are. Bluegills aren't loners. They like company. All year long where you find one there will likely be others, often lots of them. Whenever you catch one, work the entire area carefully. Hit it right and you may wind up catching 50 fish or more without even moving your boat. You won't find a better way to introduce your kids to fishing than to teach them about catching bluegills. You won't catch those 50 fish without knowing what lures to pick and how to use them. The most effective small lures I've found for 'gills are miniature plastic curly-tailed worms used behind tiny leadhead jigs in the 1/16th-ounce to 1/32nd- ounce class. The one you'll need depends on the depth at which the fish are holding. If they are fairly deep, use the 1/16th- ounce head. If they are up near the top, switch to the 1/32nd-ounce head. Whichever leadhead you select, check its hook size carefully. A number 10 hook is ideal for darn near all kinds of bluegill fishing. It's small enough to catch average or larger bluegill, but it's too big for those teensy little guys you don't want to mess with in the first place. I like to carry at least three basic colors in miniature plastic worms I throw for bluegill: black, white and yellow. I've caught fish on other shades, but these three will usually get the job done. How you manipulate the worms is as important as the color you select. If one color doesn't get results, switch to something else. Let the fish tell you what they want. As I've mentioned, once you've got a bluegill school pinned down, stay back and cast to it. Let your jig sink, then start a slow retrieve. 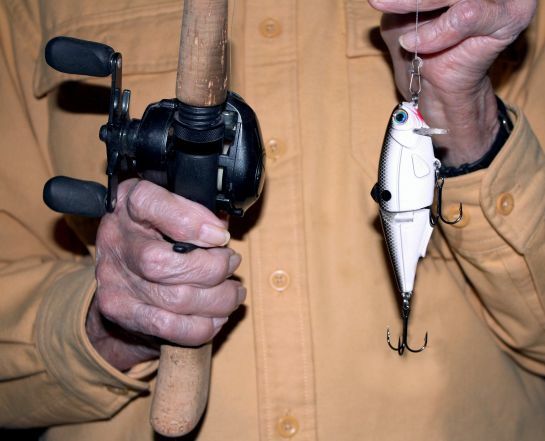 Make little flips of the rod tip as you reel. 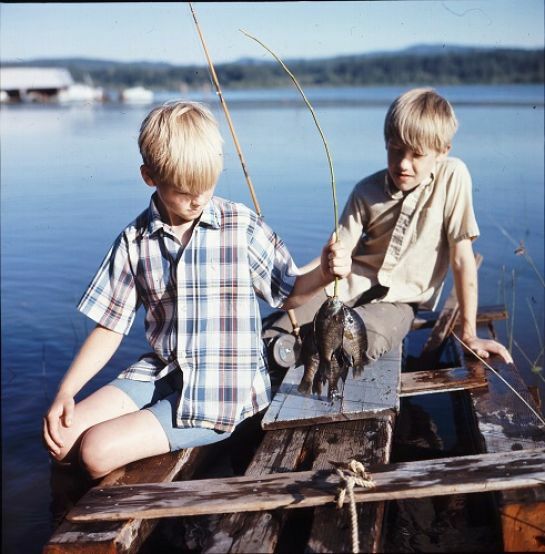 The lake I lived on the shore of in southwest Washington State was loaded with bluegill. I don't how many thousand I caught there in five decades of fishing, but it was a bunch. I often fished with a barbless hook to save time and to make it easier to handle the little buggers. 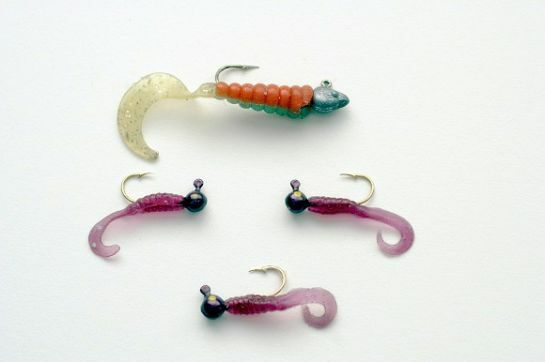 Teensy plastic grubs like those pictured here are ideal for bluegill fishing. Use them on a lightweight spinning rod with 4 to 6-pound line. One area I fished was elevated so I had opportunity to observe just how bluegill went about taking an artificial lure. I found what they often do is slide up behind the jig. They may follow along with their little blunt nose just a couple of inches behind until the lure. 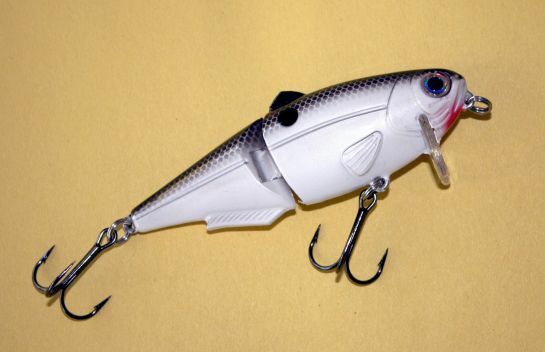 If the lure darts forward like it might be getting away---they grab it. Then they turn and take the lure going away. That's why I stress the importance of flipping your rod tip during the retrieve. It's also important to not fish your tiny jig and worm too fast. If you're not getting hits up near the surface, let the jig sink and work it back as slowly as you can without hanging. The deeper bluegills are, the more difficult it is to detect strikes. Learn to be a line watcher. If you sense a difference in the feeling being transmitted up your line or if you see the slightest little twitch in your line where it enters the water---set the hook. You shouldn't have difficulty finding miniature curly tailed plastic worm that are such super baits for bluegill. Stay with the really small sizes. If you're fortunate to get into some spot where the bluegill run big, and I've not found those places often, you may be able to go up in size a bit. Always remember that the bluegill has a very small mouth. Larger worms just won't get the job done. Keep the size of the bluegill's mouth in mind when you select the miniature leadhead jigs you'll use with your tiny curly tailed worms. Even leadheads as light as 1/32nd-ounce won't work worth a toot if it comes with too large a hook. Again -- a Number 10 is ideal. In my next column we'll take a look at fly fishing for bluegill. Few fish put more plain fun into the sport of fishing than those good eating panfish we call crappie. If you're among the increasing number of anglers who've done some crappie fishing you're aware how much fun it is to catch these interesting panfish. If you're an experienced crappie angler you're probably also aware the spring period of the year provides some of the best opportunities you'll have all year to put some of these good eating little buggers in the frying pan. There are three great keys to successful crappie fishing. You've got to find the fish. Once you do you must fish at exactly the right depth. And even at the right depth you won't do much unless you are fishing your lure at exactly the right speed. Those three things----location, depth and lure speed---are the keys to putting more of these great eating panfish into your boat. You've got to find crappies before you can hope to catch them. So let's talk first about where crappies are most likely to be. My own crappie fishing, and I've done a bunch of it, has been primarily in the Pacific Northwest. However, the tactics I'll be detailing in my next couple of columns will catch crappie wherever you hang your fishing hat. 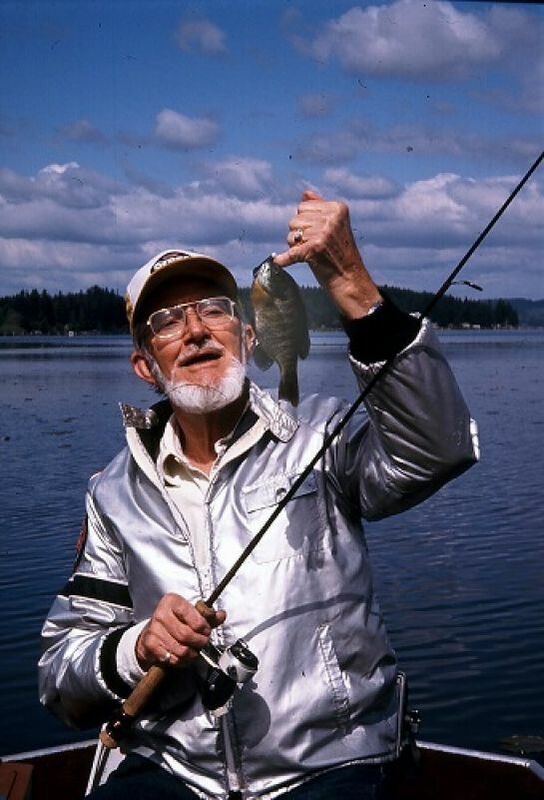 I had opportunity to refine my crappie fishing tactics and techniques primarily while living right on the shore of popular Silver Lake in the southwest part of the Washington State. Having a boat in the water all the time about 60 feet from my front door for more than three decades provided a wonderful opportunity to look for and catch crappie. This was especially true when the cook wanted fish to prepare for dinner. Springtime offers a great shot at crappie catching. Late fall can also be excellent, but it's that period from March through mid-June that consistently sees some of the peak action of the year. Crappies school in the spring. Where you find one, you'll eventually find others. But where are you most likely to find that first one? 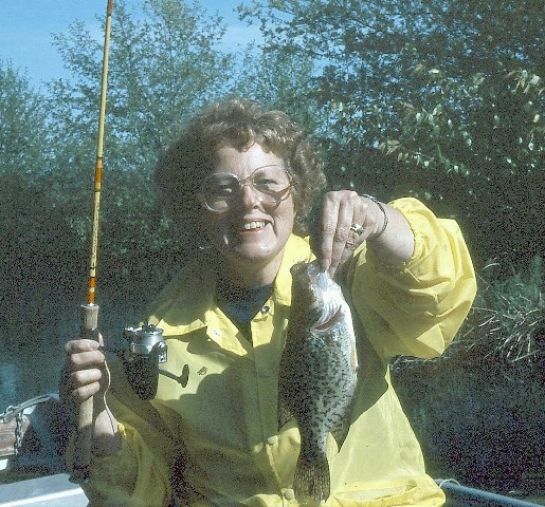 In sloughs, ponds, or most lakes, always look for crappie around wood. This wood may be in the form of downed trees, submerged logs, pilings or abandoned docks. Crappies also like rocks. 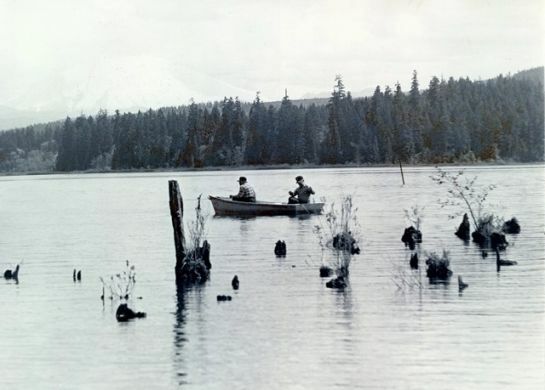 Some of the best fishing at Silver Lake, for example, always came around the lake's sunken rock piles. If I'm fishing for crappies on water I've not fished before this time of year, here's what I'll look for. First off I'd look for cover like that I've described. Once I've found downed logs, dead trees or any other possible crappie holding spots, I'll fish them ever so carefully. I wouldn't expect to catch a boat full of fish right off. As soon as I catch even one crappie I'll mark the exact spot so I can come back to it. In crappie fishing on new water I often carry a pocket full of short yellow ribbons. Whenever I catch one fish, I pinpoint the spot by attaching a ribbon to the cover. That ribbon might not be where you can see it easily, but I'll know where it is. As soon as I get a half dozen spots marked in this fashion, I simply move from one to the other and forget about trying to find fish anyplace else. You've probably heard that 10 per cent of fishermen catch 90 per cent of the fish. I guarantee that those who are in that 10 per cent of successful anglers are fishing where the fish are. 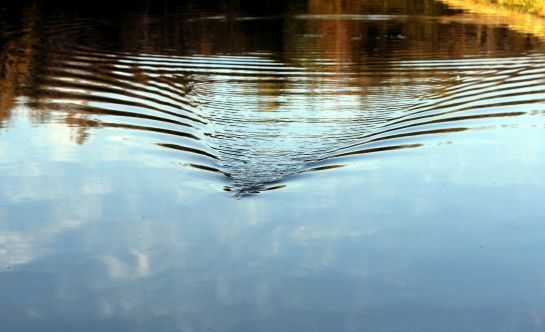 What some never do realize is that only about 10 per cent of a given lake or river holds fish. You can fish the other 90 per cent all day with little hope for success. I may find only one or two crappie in my first try at the spots I mark. But in the springtime I know more fish are there. Crappies don't hang around by themselves this time of year. Again, where you find one there is a cinch to be others. And that's why I keep going back to the spots where I've caught at least one before. Sooner or later crappie will start biting in one of those marked spots. If I'm lucky enough to be there when one of those common feeding binges take place, I'll likely catch all the fish I want to take home right there without ever moving the boat again. Chances are the anglers in this boat would do a lot better for crappies if they moved in and fished around those piling. Wood cover of one kind or another is always one of the best spots to find springtime crappies. I remember once fishing at Lake Shastina in Northern California. I was in a guide's boat. It was in May and we were fishing for bass. The action was slow, but every now and then I felt something pecking at a small spinnerbait I was throwing. The guide pulled the troll motor out of the water and prepared to move. "Please hold on for a minute," I asked, "Something keeps nipping at the trailer of my spinnerbait and I've hunch it's crappie. They can't get themselves caught because the lure's hook is too large. Just hang tight and let me try something." The guide waited while I rigged up a two inch grub on a 1/32nd ounce leadhead. I hung it on the lightweight spinning outfit I always carry in the spring. We were near a rocky shoreline and I knew those rocks ran on out into the water. You'll recall I've mentioned crappies liking rocks. I made a quick cast with that little grub. Bingo! A crappie picked up before I moved it three feet. The guide and I sat right there and caught 24 fat crappie that would do credit to any skillet. You can bet I marked that spot before we left. That way I knew I could go back to the same location and have a good chance of making the same kind of catch. I did exactly that the next morning. Make trying the right spots your first priority in any kind of crappie fishing adventure. I've told you the best spots to look for. Put these suggestions to work in your own fishing. They really do get results. If you don't believe that now, you will after you've given them a fair try. 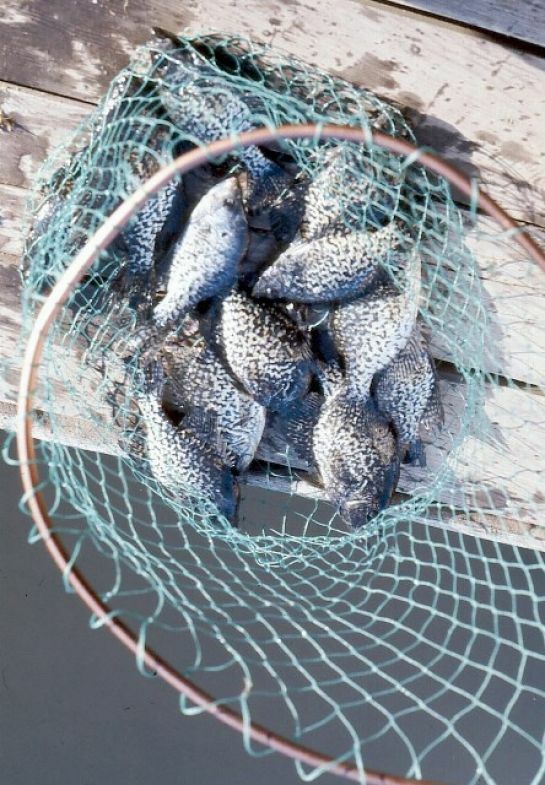 Crappies are fun to catch and a delight in the frying pan. That's a combination it's tough to beat. Next month we'll take a look at the importance of fishing at the right depth, another key ingredient to successful crappie angling.